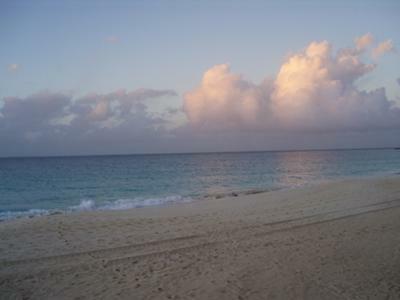 The sun rises on another perfect Anguillian day. The azure sky and turquoise sea meet at the horizon separated only by a thread of dark, ocean blue. 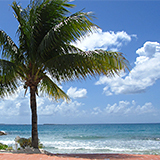 Thus heaven meets earth each and every day on this magical island. High on Sandy Hill, the cats at the Anguilla Animal Rescue Foundation stretch and yawn in anticipation of breakfast. As they hear the jingle of keys in the door, they again prepare to greet visitors. Each new face is an opportunity to choose an adoptive family. 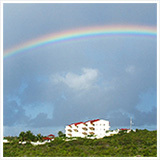 It may be someone who resides on Anguilla or it may be a visitor from far away. Who knows what adventures the day will bring to these furry felines? “Aw, Ollie,” they respond in unison. “Can we sleep just a bit later today, please?” pleads Parsley lounging with all four of her tiny, brown paws tucked under her body. Cinnamon chimes up, “We chased our tails around half the night. We need to snooze!” Sage opens only one of her emerald green eyes and slowly it drops shut again. “An Oliver story! “ breathes Sage. “Wow, he’s been around!” thinks Cinnamon. “This could be an amazing tale!” muses Parsley. Sage sits up tall and the droopiness disappears from her lovely eyes. Parsley parks beside her at full attention. Cinnamon turns from the last bit of his breakfast with ears forward. Their attention is focused on Oliver. “And that was following our delectable breakfast at The Straw Hat, mom,” replied Jenn. “What a way to start the day! How can it be possible that bagels taste better here than in New York? Then again, I’m betting dry toast would taste great if you were eating it with the view from the ocean terrace at the Straw Hat. As Oliver continued with his tale he was glad the kittens had already eaten or he would have lost them with the mention of cream. “The delight of a child is really special,” said mom, “but not only the children are smiling here, everyone seems to appreciate that they live in Paradise. Oliver contentedly sighed while he gently transferred by mom into Jenn’s arms for more snuggles as Jenn’s mom continued, “Are there words to describe the crispiness of the French fries during our lunch at the Sand Bar? The fun cocktails were superb, too. 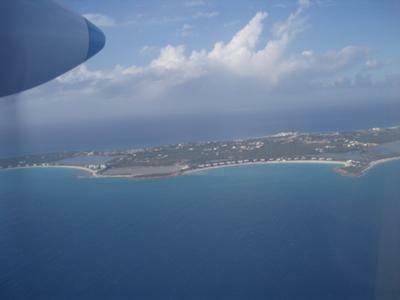 What a different view of Anguilla from Sandy Ground. Seeing freighter ships glide through the water with sailboats moored nearby is a study in contrast. “Well, mom,” Jenn interjected, “I know it’s difficult to leave these sweet faces but we have to be going. It’s time for the Foundation to close for today. The cats at AARF are in good hands. I hope they enjoy the toys and treats we brought for them. We need to make the drive back to Meads Bay because I don’t want to miss another spectacular sunset. “Pretty fantastic beyond those front doors, isn’t it?” asked Oliver. Cinnamon, Parsley and Sage began to bounce with excitement and then Sage became very still. “But Ollie, what about you?” she quietly asked. “Are you coming along?” squeaked Parsley. “We can’t go and leave you behind,” pouted Cinnamon. Then Oliver could contain himself no longer and he began to wiggle just like a kitten. “Don’t worry a bit about me. I’ll be having an incredible adventure. Have you ever heard of a flying cat? That’s me ‘cause I’m going home with Jenn and her mom. We are flying on a huge airplane that will take us up into the sky to a totally different country. When Jenn, her mom and I were together here it was love a first sight! What do you think about that?” he asked. “Wow,” breathed Sage. “You are very brave, Ollie! 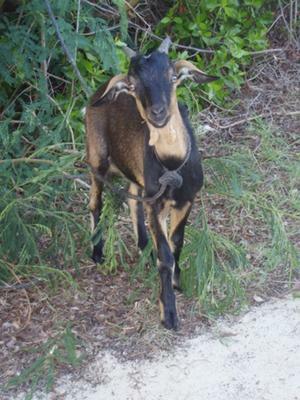 As the humans arrived eager and joyful to retrieve their new pets, Cinnamon, Parsley and Sage snuggled themselves down in their carriers and dreamed about the blissful life they would have in their new homes on Anguilla.